These robots transform into cars, cats, tablets, and more! Each mini-vehicle can interact with Titan Masters mini-figres (sold separately)! Get ready to build something big with Transformers Generations Titans Return Legends! 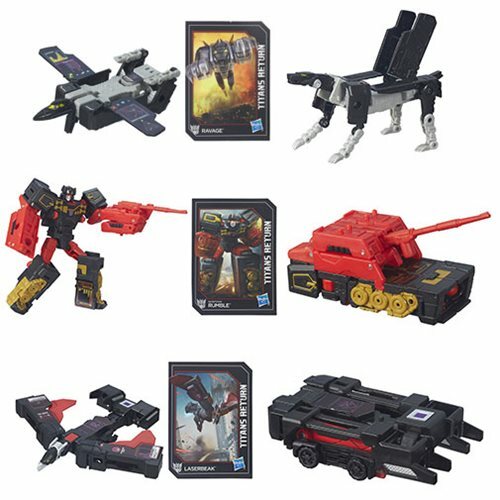 Each individually packaged figure has at least two modes, going from vehicle to 4-inch heroic Autobot or evil Decepticon. Some even have a bonus mode, interacting with the mighty Titan Masters! Each figure includes figure, collector card, and instructions. Ages 8 and up.